High performance, single stage, 1.4 hp (1000 watts), 92" waterlift, 102 cfm airflow. Injection molded, high impact ABS plastic housing. Complete maintenance solution for carpet and hard floor. Easy access to small space cleaning. Carpet vacuuming, deep cleaning two-motor vacuuming power. 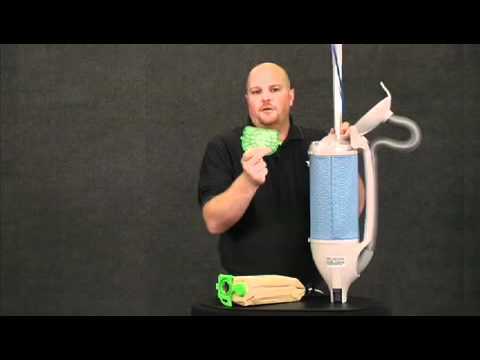 HEPA filtration for improved indoor air quality. Lightweight and easy to maneuver in tight spaces. The Axcess body is a lightweight, portable canister vacuum for productive above-the-floor vacuum dusting and detail cleaning. Simplifies stair and furniture cleaning. Maintains shine on VCT and natural stone floors. Small size and unique flexible head design makes cleaning and polishing in small, congested areas simple. Cleans, vacuums and shines hard floor to eliminate the inconvenience of daytime mopping. Maintains natural shine on stone surfaces. Maintains shine on terrazzo and polished concrete. Brush Motor: 0.24 hp. Working Speed: 5400 brush contacts per minute, 2700 rpm.